This stunning freestanding touchscreen tablet is quick to use and extremely user-friendly. 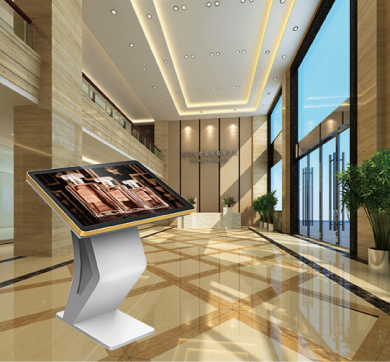 The Full HD screen allows for high contrast viewing from any angle and is equipped with built-in speakers, network connector, WiFi and USB connection. These touchscreen tablet displays have been designed for high traffic use and have an industrial grade computer built-in running a SSD Hard drive running Windows 10 Pro.